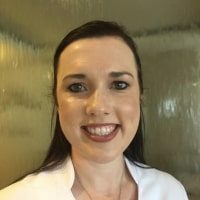 Nadeane grew up in Port Elizabeth where she obtained her diploma in Health and Skin Care at Total Concept including ITEC, SAAHSP and CIDESCO qualifications. Nadeane is no stranger to the Health and Skin care Industry. She acquired 10 years’ experience at a Luxury Spa in Pretoria where she has held the position of Spa Manager since 2011. She has also been rewarded Finalist in the Professional Beauty Therapist Awards in 2009. One of Nadeane's favourite quotes is: "Trust yourself. Create the kind of self that you will be happy to live with all your life. Make the most of yourself by fanning the tiny, inner sparks of possibility into flames of achievement." It is because of this standard, that she has decided to join the Renewal team to participate in each client's journey to their achievements.